Calling all moms! 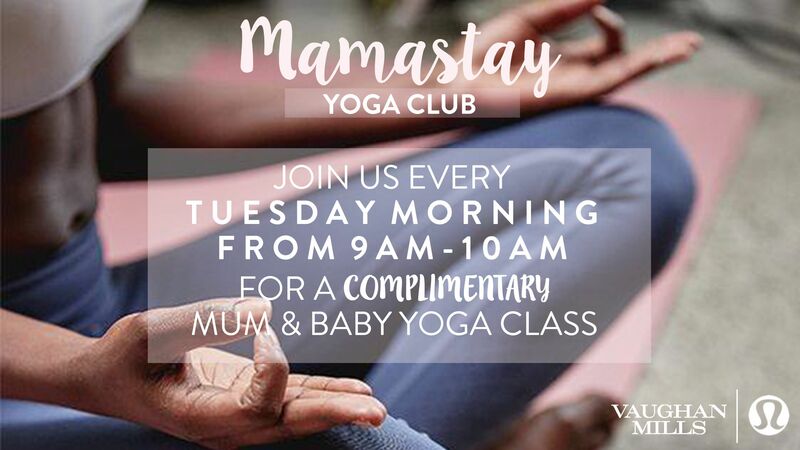 Vaughan Mills & Lululemon Athletica have partnered to create Mamastay Yoga Club. Classes are complimentary and will take place every Tuesday from 9 AM - 10 AM, in front of Lululemon Athletica (by Entry 1). The class is tailored towards moms and babies, but all are welcome! It's a BYOM (Bring Your Own Mat) event and complimentary refreshments will be provided. A place to build friendships and meet other moms!